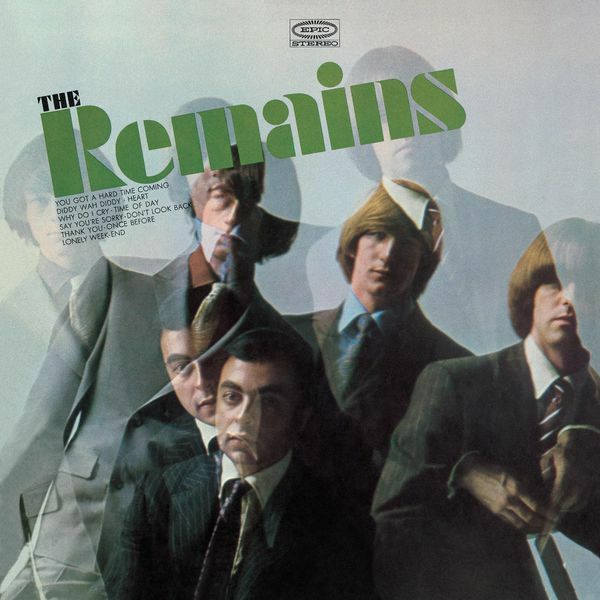 Billy Sherrill, Producer - Donald Covay, Composer - Donald Covay, Lyricist - Ronald Miller, Composer - Ronald Miller, Lyricist - The Remains, Performer Copyright : Originally Released 1965. All rights reserved by SONY BMG MUSIC ENTERTAINMENT. Barry Tashian, Composer - Barry Tashian, Lyricist - Billy Sherrill, Producer - The Remains, Performer Copyright : Originally Released 1965. All rights reserved by SONY BMG MUSIC ENTERTAINMENT. Robin McBride, Producer - The Remains, Performer - W. Dixon, Composer - W. Dixon, Lyricist Copyright : Originally released 1965. All rights reserved by SONY BMG MUSIC ENTERTAINMENT. C. Berry, Composer - C. Berry, Lyricist - Robin McBride, Producer - The Remains, Performer Copyright : Originally Recorded 1965. All rights reserved by SONY BMG MUSIC ENTERTAINMENT. Originally released 1965, 1966. All rights reserved by SONY BMG MUSIC ENTERTAINMENT. (P) 1991, 2007 SONY BMG MUSIC ENTERTAINMENT.